↑ Džoj I. Edelman (1999). 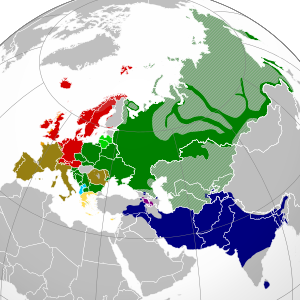 "On the history of non-decimal systems and their elements of Aryan languages". में Jadranka Gvozdanović. Numeral Types and Changes Worldwide. Walter de Gruyter. प. 221. ISBN 9783110161137. पहुँचतिथी 2013-01-02. Nicholas Sims-Williams, संपा. (2002). Indo-Iranian Languages and Peoples. ऑक्सफोर्ड यूनिवर्सिटी प्रेस.